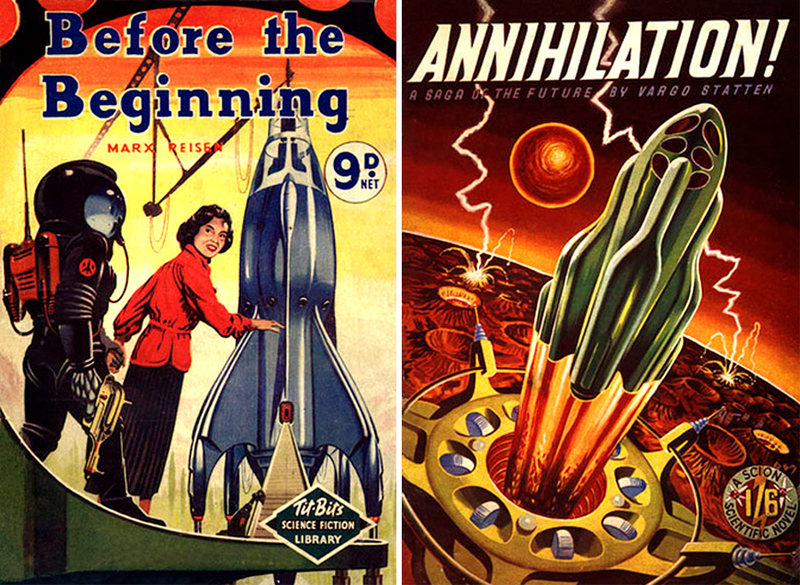 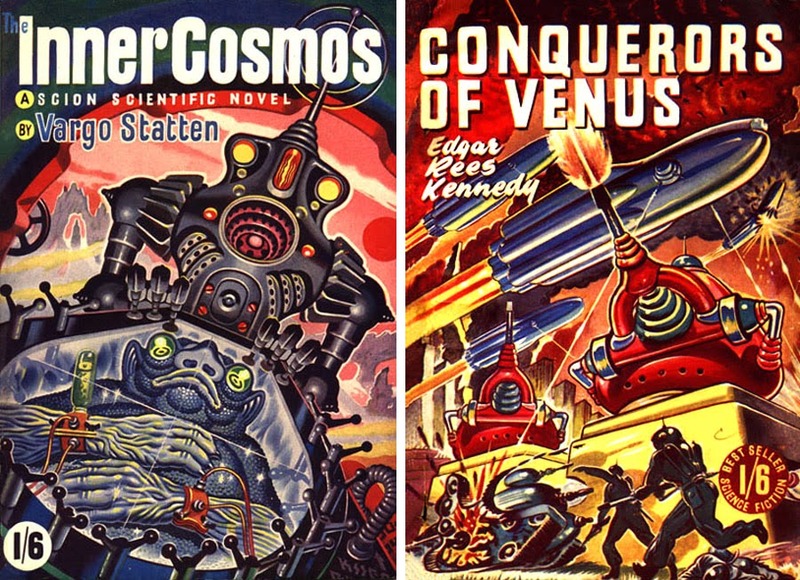 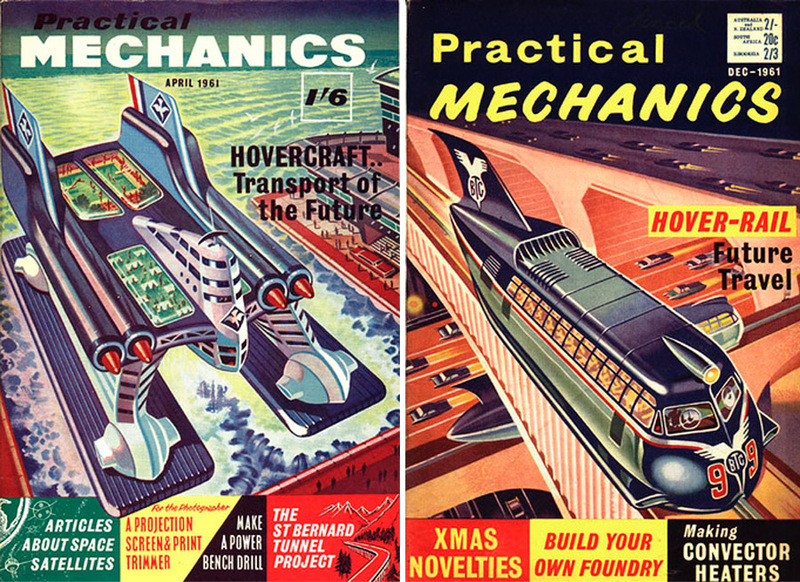 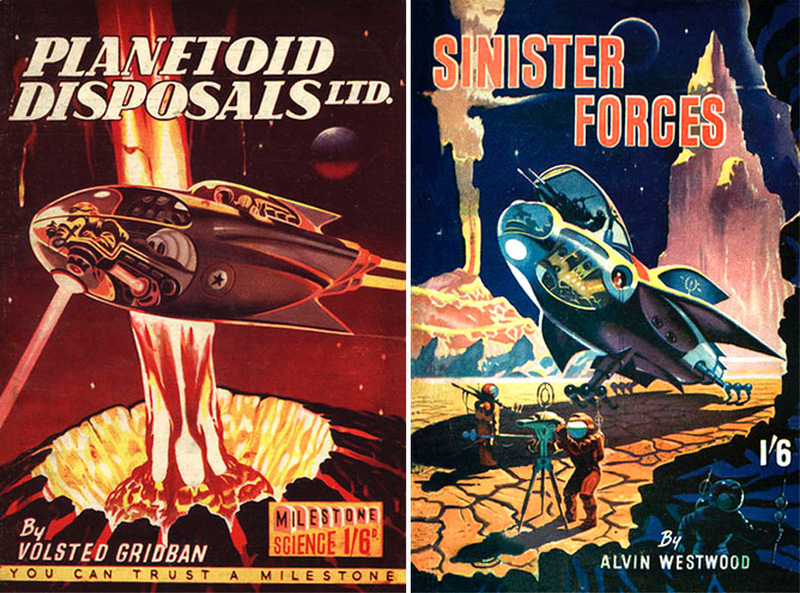 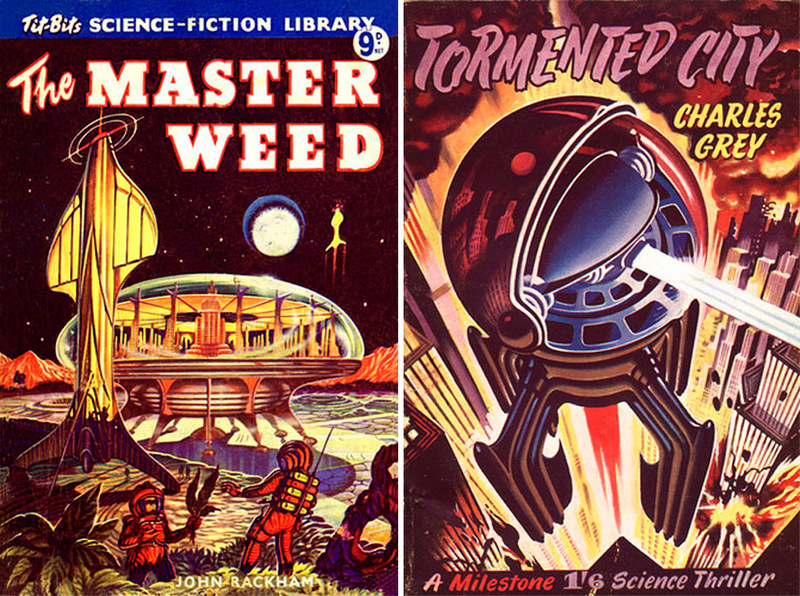 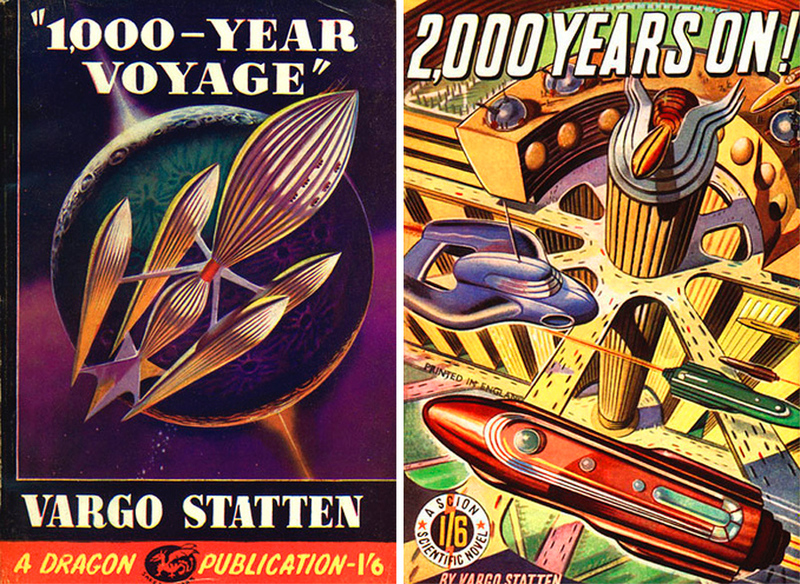 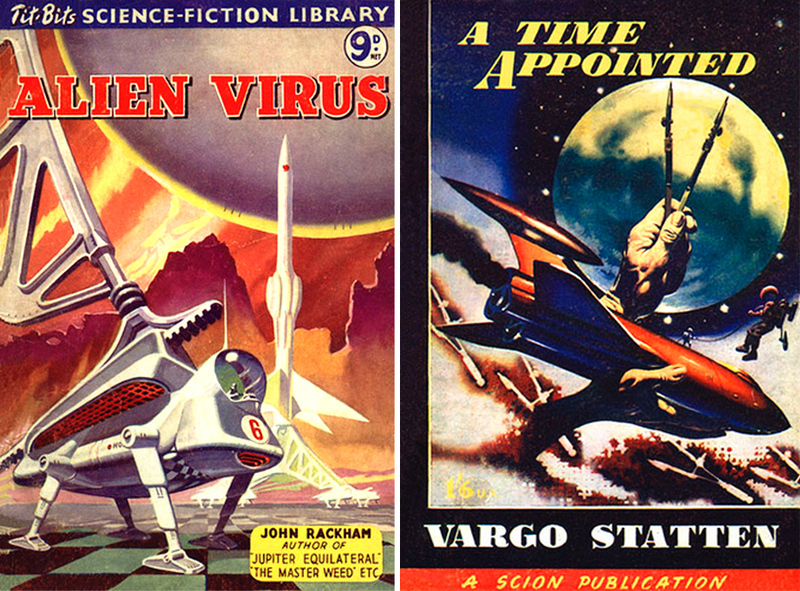 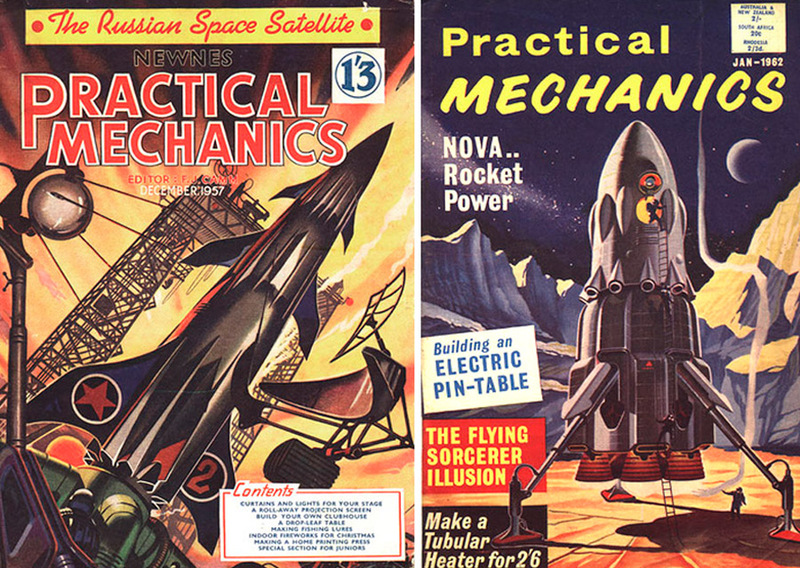 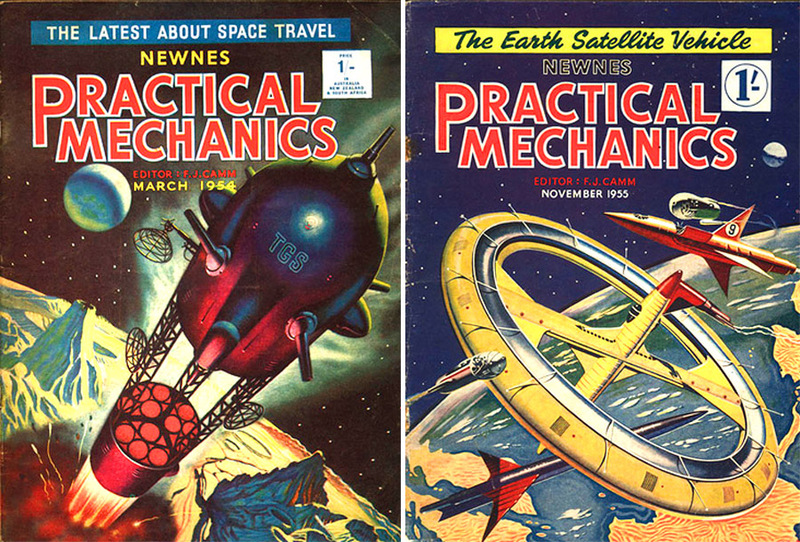 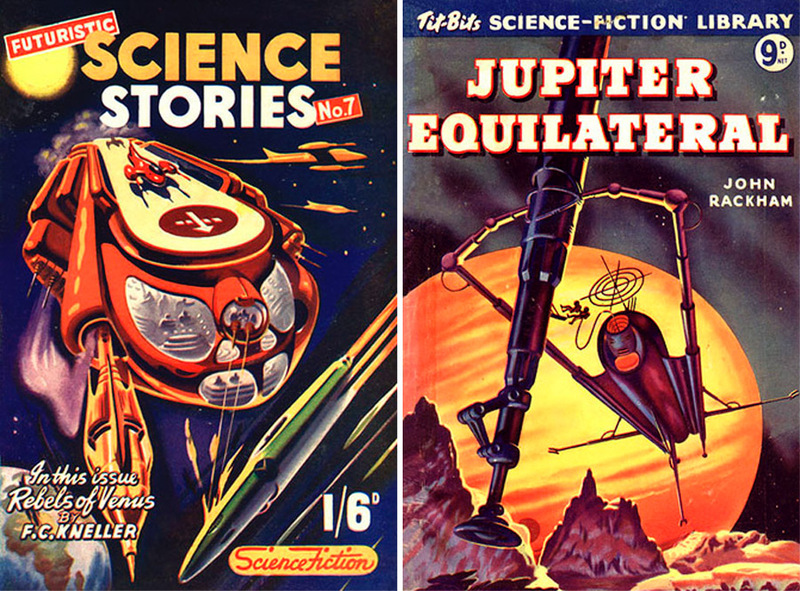 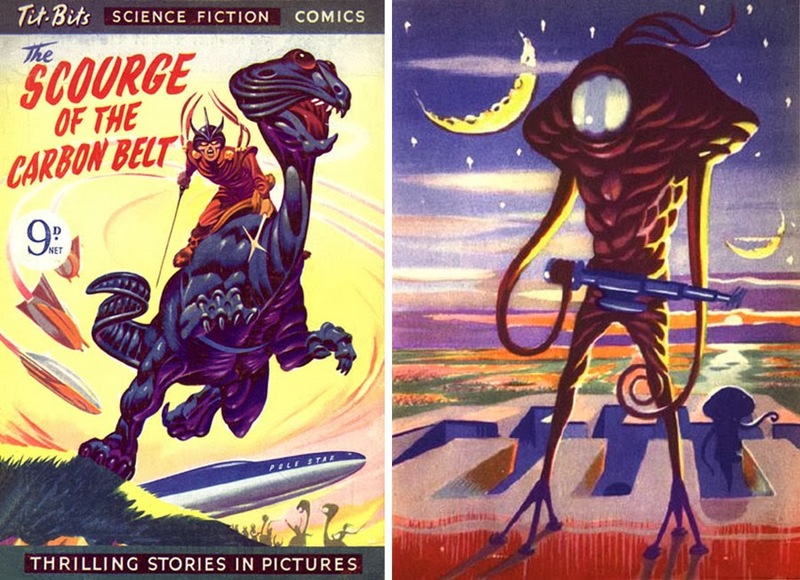 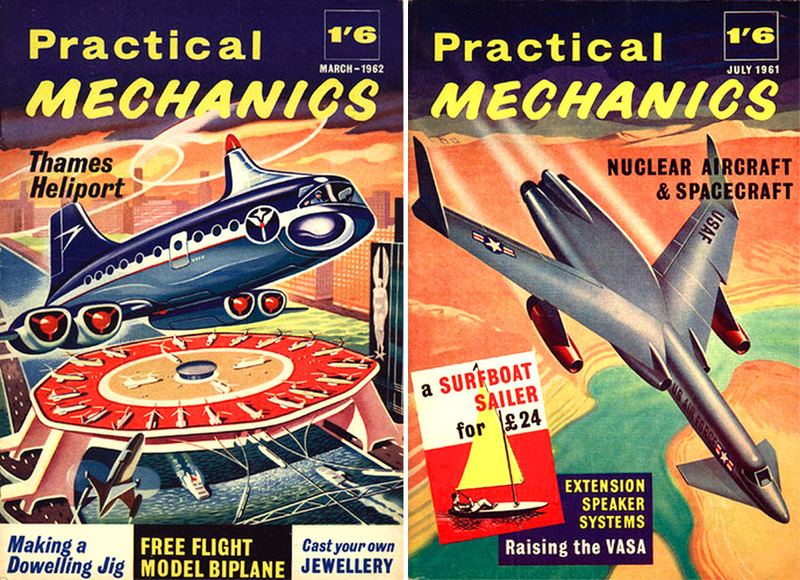 We all love and appreciate American science fiction art from the 1930s-1950s, the joy and the optimism, the indelible sense of wonder these pulp covers and paperbacks conveyed... but the similarly cheerful and perhaps even more spectacular British science fiction art from the same era is often overlooked and hugely underestimated - so today we are going to bring to light some of the more colorful (some will say, "lurid") examples of British pulp and paperback cover art. 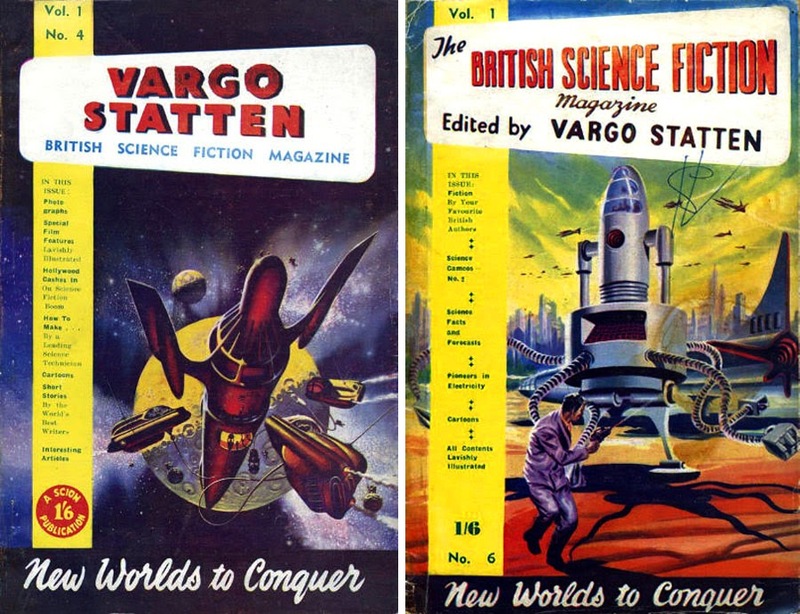 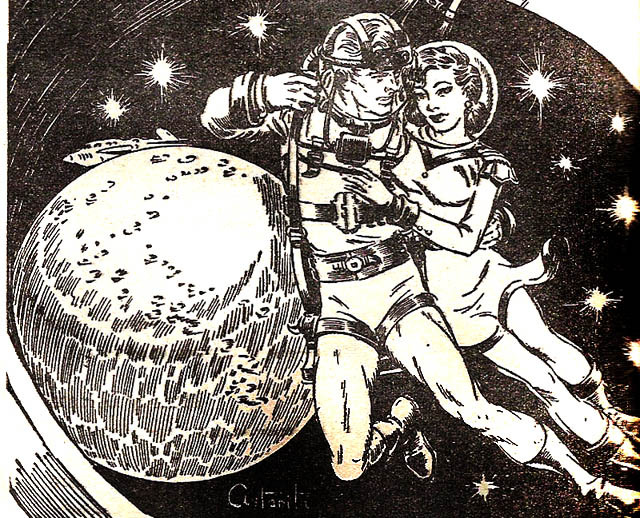 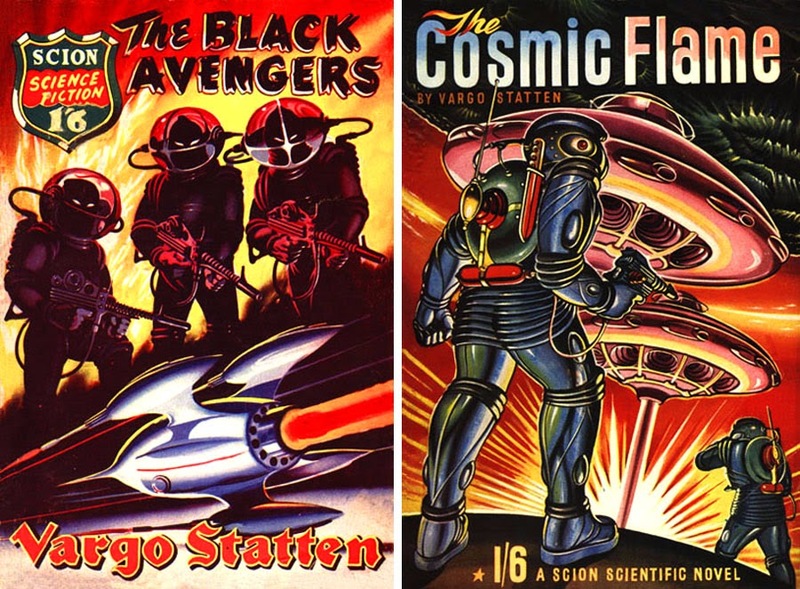 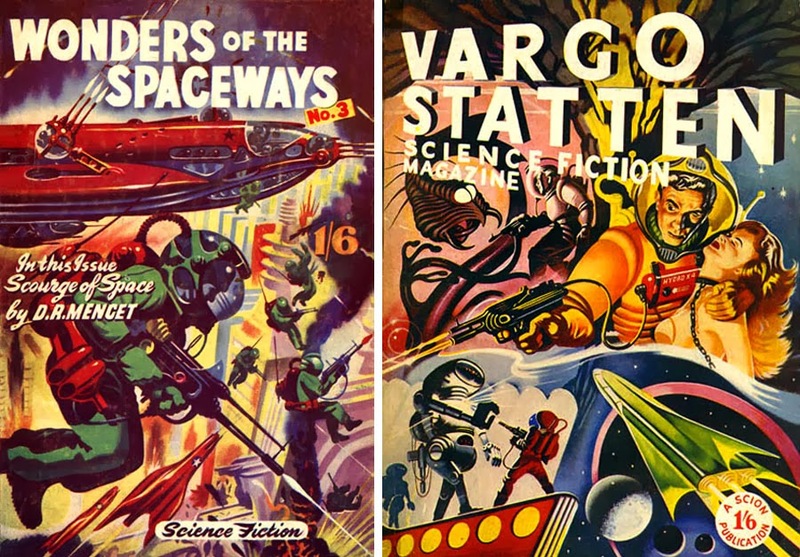 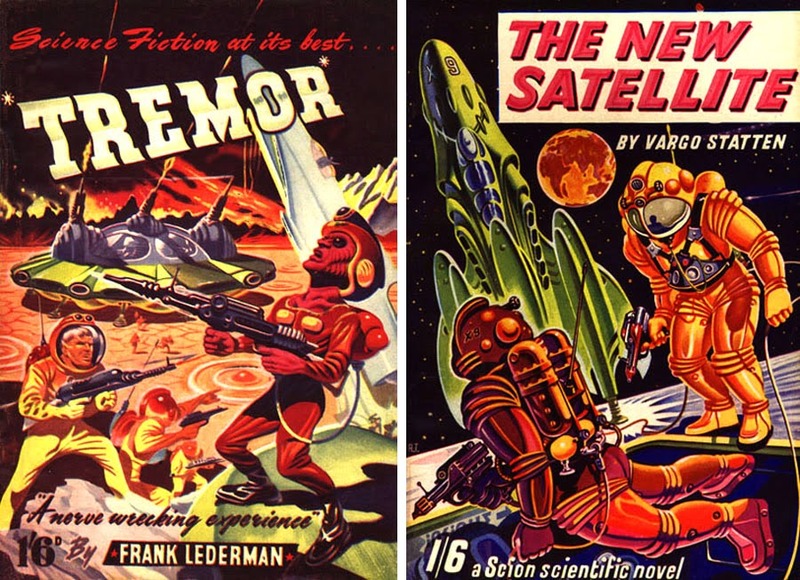 Ron Turner's spectacular space art and impressively-detailed science fiction illustrations appeared on the covers for Vargo Statten Science Fiction Magazine, and multiple "space opera" paperbacks published throughout the 1950s by Scion Publications. 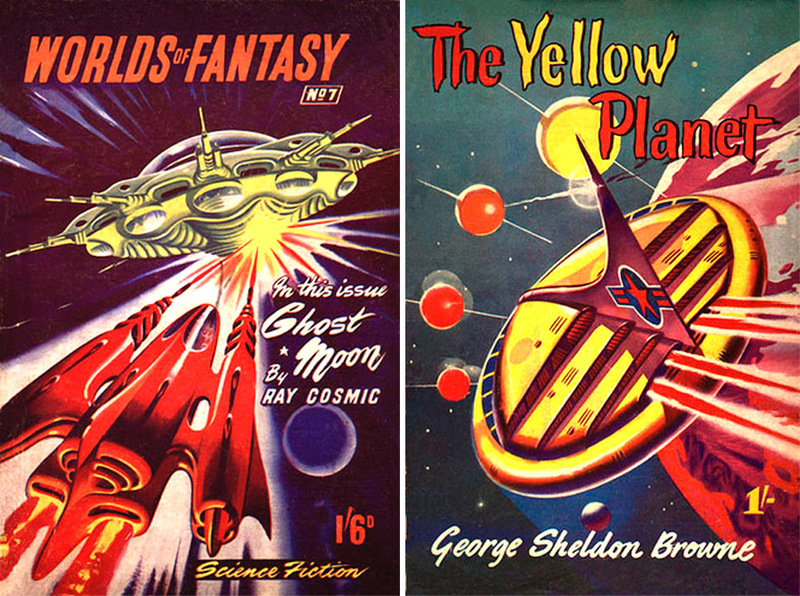 Most of the images shown here are courtesy Galactic Central and Gems from the Collection. 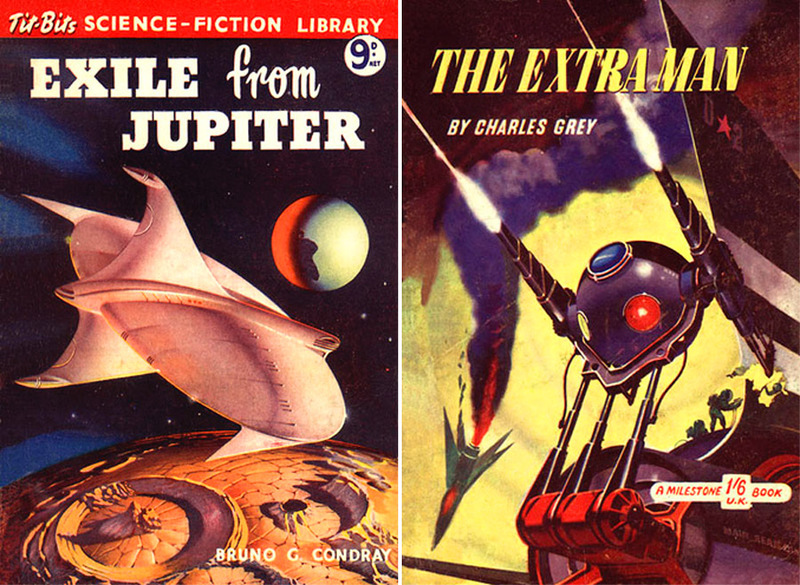 See more wonderful examples of British science fiction art inside this set. 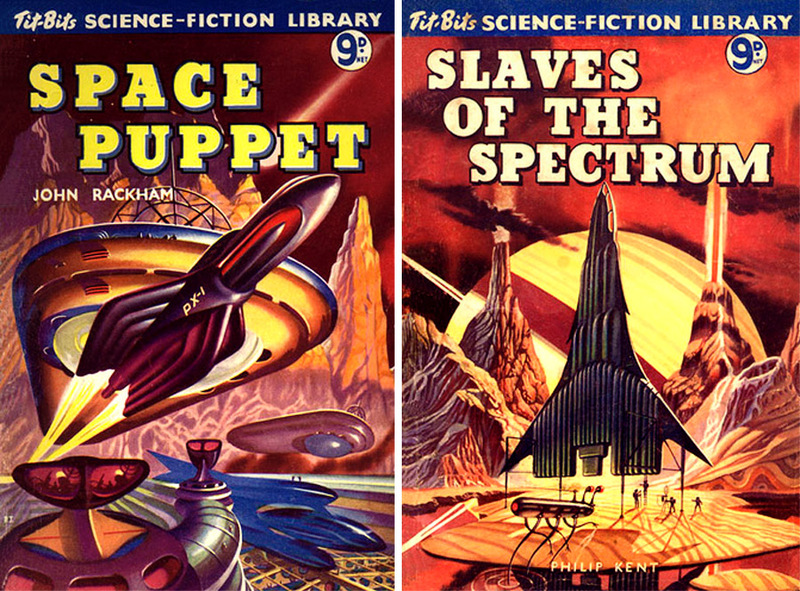 HOW can you POSSIBLY ignore the work of Frank Hampson, far and away the best science fiction artist?